Exotic Hardwoods? Yes! They grow right here, at our doorstep. This great state of California is well-known to botanists and nature buffs [myself included] for harboring the world’s tallest, largest and oldest trees in the world. Whoa! And as if that wasn’t outrageous enough, our trees also yield some of the most beautiful lumber. California Black Walnut and American Elm are my favorite. Taking all this bounty into account, it made total sense for us to start at the very beginning of the cycle of wood- the tree itself. 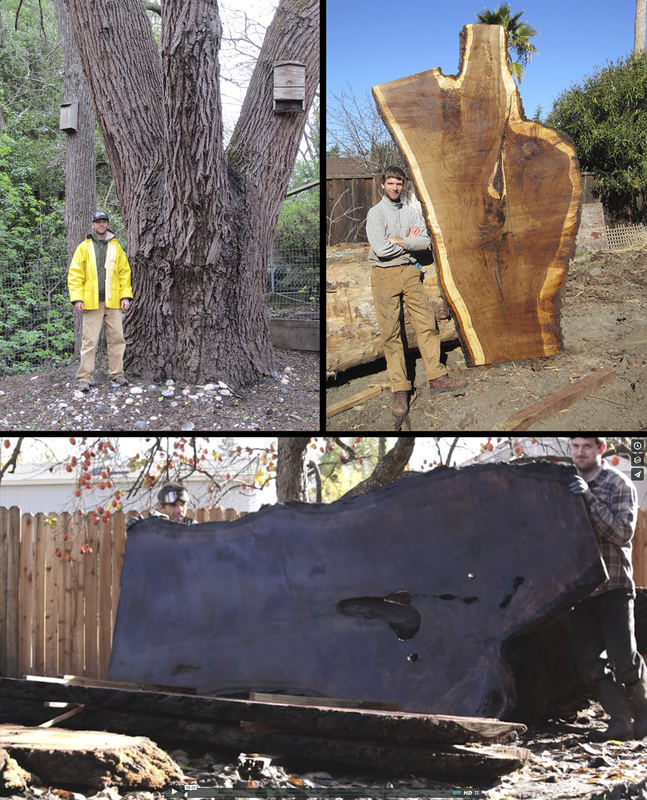 For the past decade we have been sourcing local sick and fallen trees, which we mill and season at our own sawmill in Walnut Creek, California. As a woodworker with sustainability at the core of my practice, nothing fills me more with joy than to be able to dig through our piles of seasoned walnut and come across the perfect [and imperfect] slab for the next project.